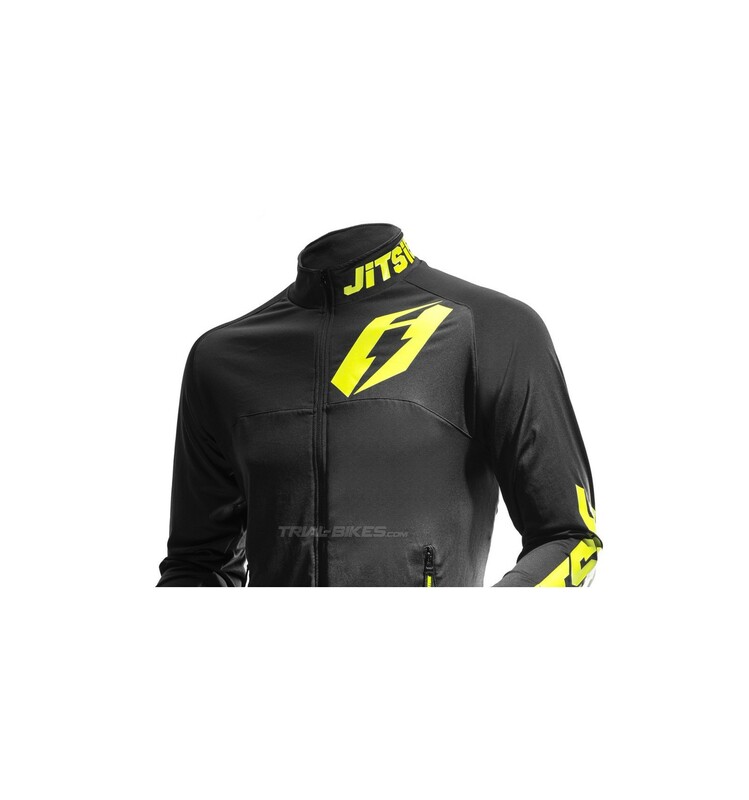 - New high quality Jitsie Signal jacket from Belgian brand Jitsie, for the 2016 season. 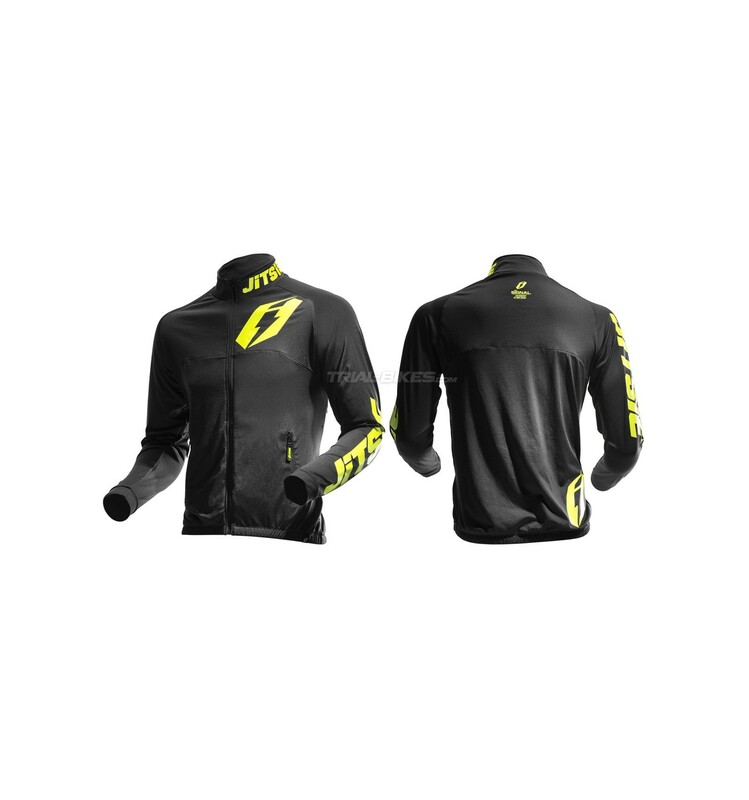 - This is a lightweight, strong, versatile piece of clothing, 100% developed for trials riding, ideal to deal with cold weather thanks to its ultralight polyester construction. 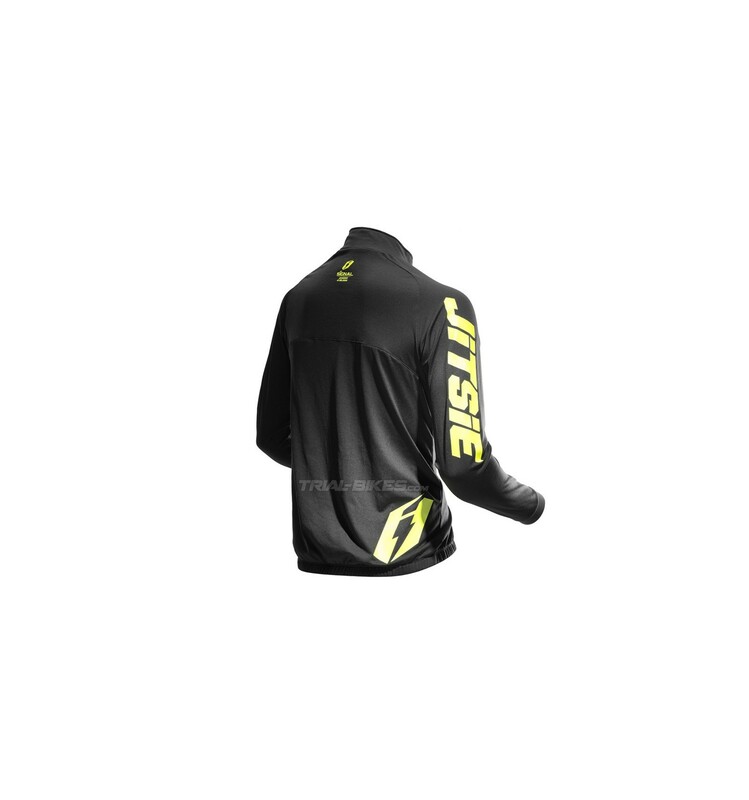 - Uses moisture wicking fabrics, that help soak up sweat and skin moisture by letting cool air in, which allows for maximum heat transfer. - Furthermore, this makes the jacket water repellent. - Padded neck collar, which covers halfway of the neck to keep unlimited freedom of movement and avoid it from rubbing against the helmet. 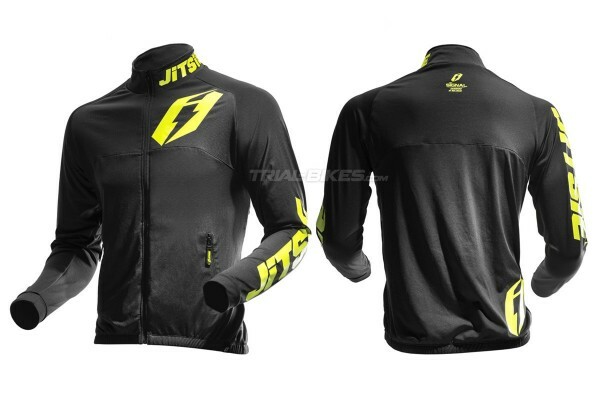 - Stretch lycra cuffs on sleeve ends allow for a tighter fit. 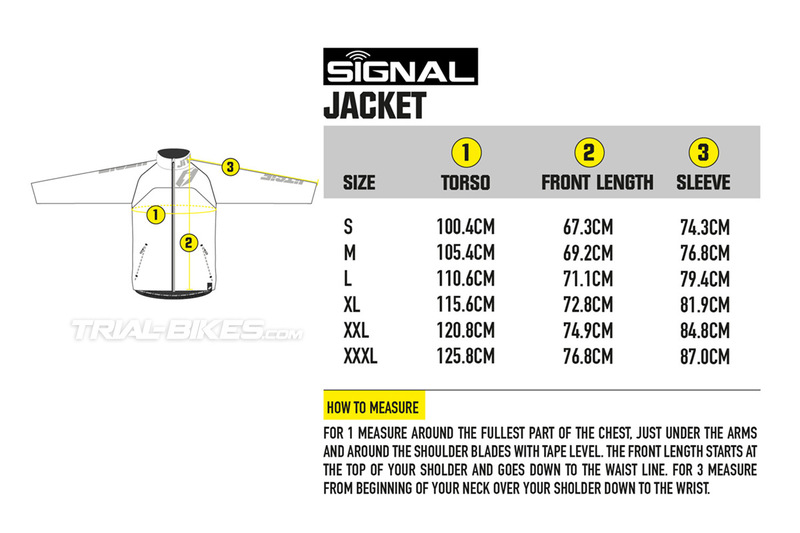 - Available in black, with yellow Jitsie graphics on both sleeves, chest, right side, neck and upper back. - S, M, L and XL.